Tort reformer Michelle Mello is at it again, this time in the latest New England Journal of Medicine writing about the proposals from Sec. Tom Price and the US House. Instead of caps (about which she states: “caps have not been shown to improve the quality of care, a key goal of the tort system”), Mello is now criticizing the proposals in the US House bills while praising health courts which she calls administrative compensation systems (and others would call a proposal for eliminating the right of trial by jury). As to safe harbor for doctors who adhere to evidence-based practice guidelines, she concedes that these safe harbors are NOT effective in reducing liability claims or costs. Additionally, as for the proposed periodic payment requirements, Mello notes they don’t “affect liability costs or quality of care.” Nor has joint-and-several liability reform. Shorter statute of limitations modestly constrain insurance premium growth. She also notes that Secretary Price’s claim that defensive medicine is responsible for $650 billion or 1/4 of US health care costs is bogus — at worst it’s cost is closer to $50 billion. One would assume that at least under the present circumstances, a learned thinker like Professor Mello would conclude that medical malpractice tort reform is unnecessary. But she can’t bring herself to that conclusion. Instead, even though the market is stable and claims and premiums are decreasing and malpractice insurance companies are now clamoring to get into this market, Mello argues that this period of calm is the best time to take away the rights of victims. Thus, she argues both for safe harbors and health courts. 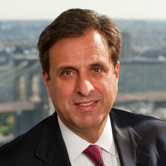 Mr. Bloom is the co-chair of the Medical Malpractice Committee of the New York State Trial Lawyers Association.